Today, the 25th of November is an important day. In 1487 Elizabeth of York was Queen of England. In 1783 the last British soldiers left New York three months after the Treaty of Paris was signed ending the American Revolution. In 1947 the future Queen Elizabeth married Prince Phillip in Westminster Abbey. In 1963 the world watched on as John F Kennedy was buried at Arlington National Cemetery following his brutal assassination. In 1966 The Jimi Hendrix Experience debuted in London at the Bag O’ Nails club. In 1984 one of the most successful global fundraising events incorporating 44 artists from around the world as Band Aid recorded “Do they know it’s Christmas”. There’s no doubt that the 25th of November is marked in the historical archives as a significant date. However, it is also important for another event that won’t appear in the history books and is only remembered by a few. On the 25th of November 2013 my mum passed away. It’s already been a year that has at times gone quick, and others, gone slowly. It reinforces that no matter what happens, the sun will come up and set again tomorrow. Time waits for no-one. Reflecting back over the year, I can recall numerous times when things have occurred that reminded me of mum and I’ve had the urge to call home to talk to her. Special family days have come and gone and she hasn’t been there to share them. Which is a bit strange, as mum had been in permanent care for a couple of years fighting dementia, and had missed many family gatherings. It wasn’t possible just to pick up the phone and call mum for a chat and share my news. When Alzheimer’s was really starting to effect mum she didn’t like talking on the phone, but when she was well you couldn’t get her off! When I did pop in to see her at the nursing home in Benalla, conversation was difficult as mum didn’t always make a lot of sense and then struggled to understand the news I was sharing. Often it was easier just to walk together and look at the garden, or just have a hug. And sometime listen to her conspiracy stories about the people at the nursing home. The hardest thing about the nursing home (other than the depressing environment she was forced to live) was leaving her at the end of a visit. She would try to come with us when it was time to leave (and was successful at escaping on more than one occasion) and when told she couldn’t, you could see the disappointment and sadness in her eyes. It still makes me sad today. Why? Because it was true. She didn’t want to be there. We didn’t want her to be there. Due to her having Alzheimer’s there wasn’t anything that anyone could do about it. So while mum was taken from not only me, but also family and friends, she was stolen from us long before her passing. Since mum was diagnosed I’ve become more actively involved with Alzheimer’s Australia. My first effort was to run a marathon to raise funds for Alzheimer’s Australia and I was successful in raising a few thousand dollars. I was fortunate enough to complete this while Mum was alive and still remembered me. Maintaining fitness and healthy lifestyle is important in preventing dementia – so I’m kind of helping myself while fighting for a cause. Fund raising for a cause is very humbling experience and I was amazed at just how generous and supportive people can be. That was when I realised how far reaching into the community were people affected by someone close to them living with dementia. This time I’m going for something much BIGGER!! The anniversary of mum’s death seemed like the opportunity to launch my next fund raising adventure in her memory – the biggest personal challenge I have ever attempted. 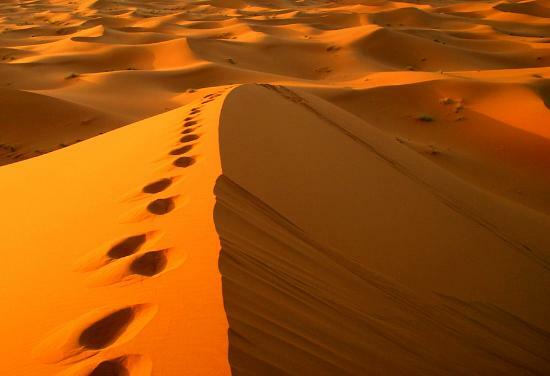 In 129 days I will be in Morocco about to tackle the “toughest footrace on earth” – Marathon Des Sables. Known simply as the MDS, the race is a grueling multi-stage adventure through a formidable landscape in one of the world’s most inhospitable climates – the Sahara desert. The rules require that I will be self-sufficient, to carry with me on my back everything except water that I need to survive. I will be given a place in a tent to sleep at night, but any other equipment and food must be carried. Over six to seven days I will traverse the Sahara desert with nothing but rolling sand dunes for miles around. There is sand, mountains, rocky terrain and some of the toughest conditions in the world. They say you can’t feel the sweat dripping down your face because it’s evaporating in the baking heat. With temperatures reaching over 100 degrees Fahrenheit (50 degrees centigrade) this is an endurance event like no other. When I complete the final stage of the Marathon des Sables, I will have run the equivalent of five and a half marathons in six days, a total distance of some 251 km – 156 miles, depending on the final route. You only find out the route the day before it starts and then each leg is advised the night prior to heading off. 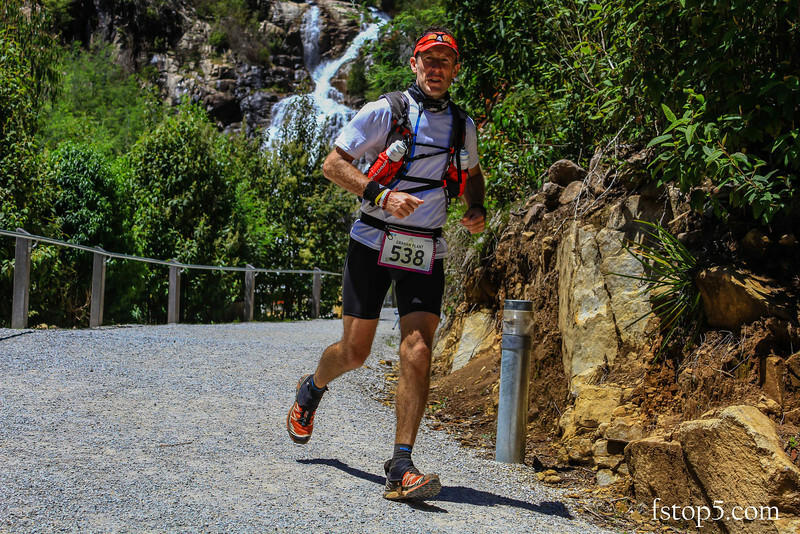 I have been keeping a diary of my training, my thoughts and my experiences since the 6th of June 2014 – the day after I registered for MDS. At the time I signed up I was unable to run as a consequence of some hip surgery in the preceding April. My plan is to publish this journey when it’s all done and dusted – 301 Days – A journey from crutches to the toughest footrace in the world. From now on though, I’ll be publishing a daily blog sharing my story and looking for support as I embark on this challenge – not the run – raising awareness about Dementia and hopefully some much needed funding. There is a saying that I heard a long time ago about human beings that I use every day. There are three types of people in the world. Those that watch things happen. I’ve decided that I want to be someone that makes things happen! I’ve been each type of person at one time or another. Even now, some days I sit back and watch what happens – a spectator on life. But more often than not I do my utmost to be different. To not accept the ways things are. To challenge the world and more importantly myself. Life is short….. too short. When it is over I would like to think that I have made a positive contribution to my family, my friends, my clients and to those less advantaged than me. In reality I am not a very remarkable person – your typical Joe Average. I did ok at school; I’ve been reasonably successful at work; I’ve got a great family and an amazing network of friends, colleagues and clients. When it comes to running – I’m not very fast; my technique is ok – but nothing to write home about – but I can push myself to run for a long time. Sometimes a very long time. Although I am still recovering from the hip surgery which forced me to stop running for 12 weeks, and I have rheumatoid arthritis (I’m also only 14 months from turning 50), I am determined to complete MDS2015 – to raise funds for research into the prevention and potential treatments of dementia. Hopefully at the end of my run I will have reached my fundraising goal and raised awareness for Alzheimer’s Australia and the plight of so many that fight dementia everyday. I hope you will join me on my adventure with a cause. You can follow my blog and get more information about my efforts on a website I have established to record my adventure as well as Twitter and Facebook. This entry was posted in Fight Dementia, Fitness, Fund Raising, Marathon Training, Running, Trail Running and tagged alzheimer's australia, fight dementia, fundraising, marathon, marathon des sables, MDS, the memory jogger, training, ultramarathon. Bookmark the permalink.